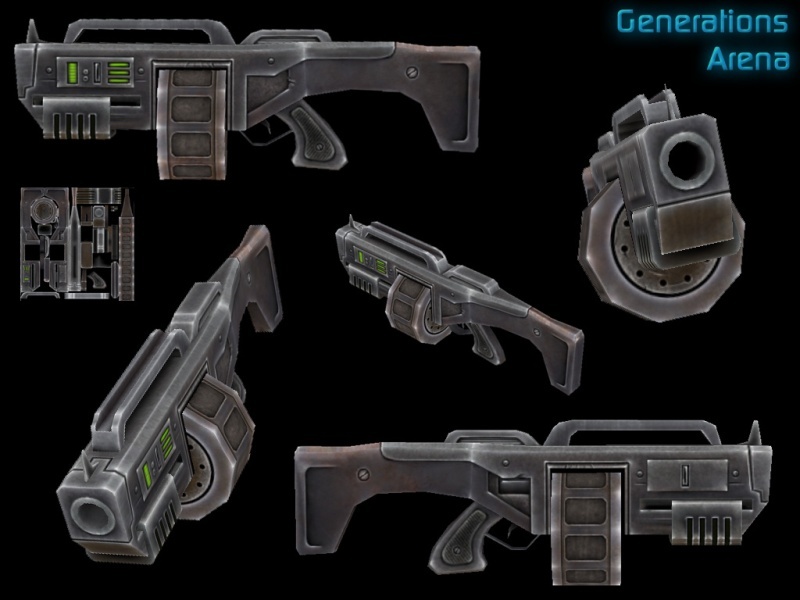 Quake 2 Weapons Becoming Real? 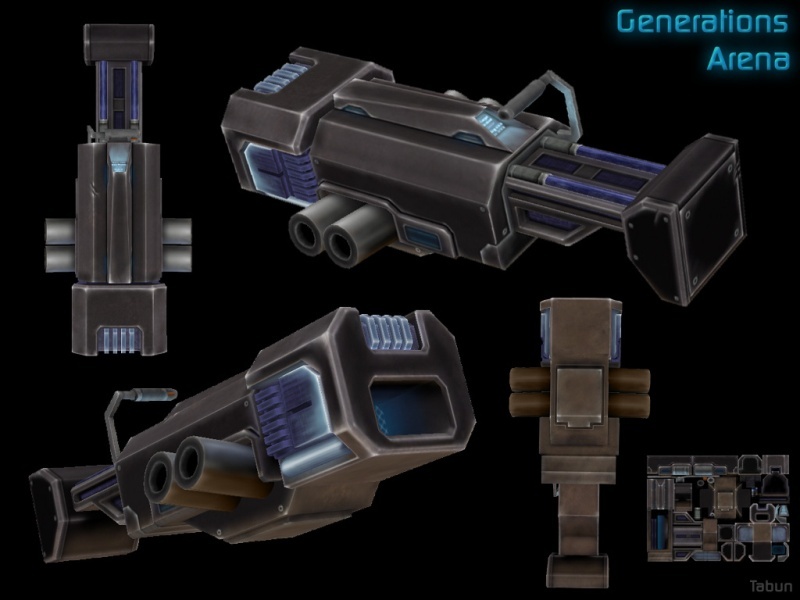 Wirehead Studios > General Discussion > Rants and Randomness > Quake 2 Weapons Becoming Real? Re: Quake 2 Weapons Becoming Real? That short launcher is almost dead-on! They are almost dead on... next there will be power armor and rail guns. Gonna be some crazy times in store for us, hopefully in the distant future God knows what they've cooked up as of today. Uh oh... We got a Super Shotgun (almost) now! It fires one barrel at a time, but reloads both with one pump. That's just one step away from a Q2 SSG. That's pretty intense looking. What are the bottom two barrels for? Those are the tubular magazines, where the ammo is kept. Visually that double-barrel is just gorgeous. Wow. I imagine with some creative gunsmithing it could fire both barrels at once. What's ironic is it wouldn't even be a Class III weapon in the US. The ATF has written numerous times that a gun that fires multiple rounds with a single action of the firing mechanism is classified as a "volley-fire" gun and is not regulated by the National Firearms Act*. There's a double-barreled 1911 on the market like this... costs about $7,000 but it's 100% legal at the Federal level. Anyway, making one of those shotguns into a true SSG would be totally freaking awesome, and it could actually have some additional practical value besides just scattering a lot of lead downrange for the giggles. Two rounds of buckshot is going to bring pain to anyone, and a bullpup like that is going to be great for house-cleaning, or trench cleaning. Close-quarters it would be king against unarmored targets, and even someone wearing body armor is going to get exposed limbs torn off - or their head. To be especially nasty you could load one magazine with buckshot and one with slugs. Anyone getting hit in the torso by that combination that's not wearing armor is not going to get back up. For "less than lethal" applications, one barrel could be loaded with a capsaicin round and the other with a beanbag or rubber shot, for the ultimate in non-lethal incapacitation. Getting hit with that would take the fight out of pretty much anybody, and in a riot-control situation, seeing that cannon pointed at you is going to be intimidating enough to make anyone think twice about bringing rocks to a Super-Shotgun fight. *This is the law that makes it hard to own machineguns and short-barreled rifles or shotguns. You can own a machinegun, but it requires a lot of paperwork, background checks, and is a general pain in the tail, and is expensive thanks to some later laws that banned manufacture of new machineguns for civilian sale. You can only purchase a registered, civilian transferable machinegun, and nobody's going to sell one for less than an arm or a leg, or both in some cases. A short-barreled rifle, that is, a rifle or shotgun with a barrel length of less than 16" that has a buttstock and is meant to be fired from the shoulder, also requires such paperwork, but is easier to own since you can still manufacture those for civilian sale. The same goes for suppressors, those things that are erroneously called silencers. You can own them, but they have to be registered with the ATF. There are pistols in rifle calibers that have barrel lengths of less than 16 inches, but since they don't have a shoulder stock those are legal and not NFA regulated. If you see something that looks like a very short AK-47 without a buttstock, that's actually considered a pistol. It's not very practical, but that's the law. Oh, state and local laws can vary, so even if it's legal at the Federal level it might still be illegal in a certain state or locality. Ok, end of legal explanations for the curious. Cool finds. 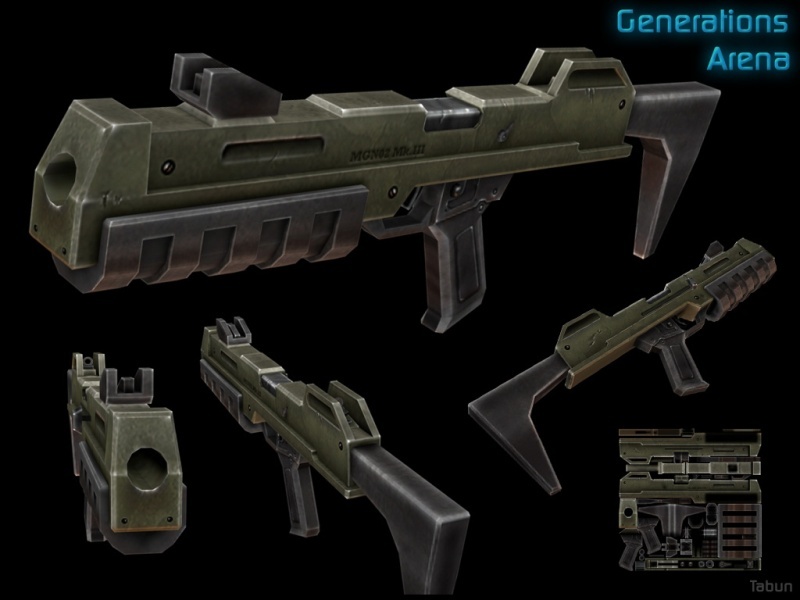 Functionally speaking, I always through the closest real life thing to the huge spread and pellet output of Doom 2's SSG was an M79 loading 40mm buck like the M576, but since the Q2 SSG is pump-action, it's a taller order to recreate IRL. I imagine a modification to the FCG that would fire both at once wouldn't be too hard. Someone will do it, and we'll see a video. Of course... the manufacturer could always take it up a notch on the safety selector and add a third setting. Instead of just "safe" and "fire", you could get "safe", "single", and "double". 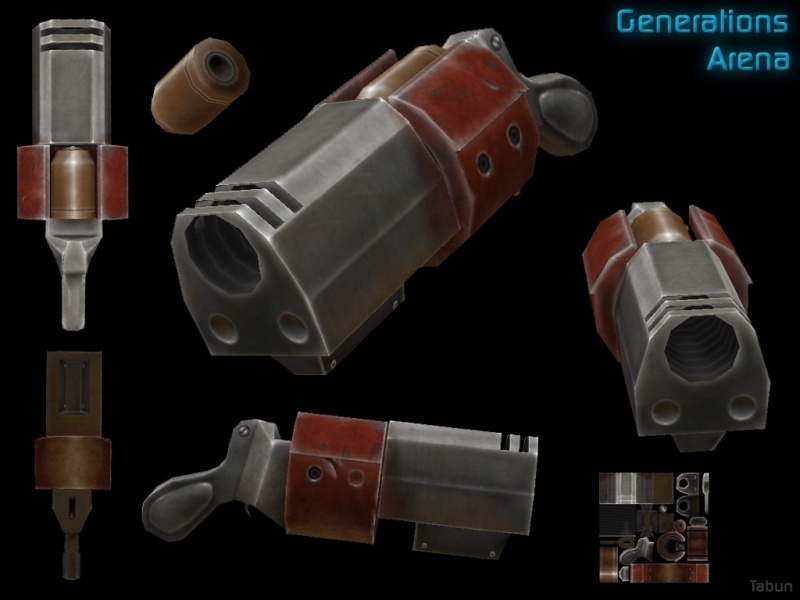 That way you would have the option of firing each barrel separately as it does now, or both at once for when you really need to light some mothersporker up. I'll always be a sucker for guns that make you do a little extra work, honestly. Yeah, maybe you can't get as much junk down range as quickly as a semi-auto (and clearly not a full auto), but something about actually needing to work a hammer, bolt, etc. just feels right. There's nothing wrong with preference. Some people think an AR-15 and a Glock will solve everyone's problems and there's no reason to bother with anything else. If that were true there would be no diversity in the market. I know an individual... one of the few I trust implicitly... that is more accurate with an AK-47 than a lot of people are with an AR-15, and I mean at 200 meters. The last trip to the range he shot the chain holding a steel gong target - knocking the gong down, and then proceeded to hit the chain over and over to make it swing. The guy next to him with the AR-15 couldn't hit the chain once. For CQB, standing at 15 yards rapid-fire he can put 30/30 in someone's heart (or head), and I've seen the target to prove it. He's also very good with a 1911... enough to rip a quarter-size hole in a target at 7 yards with 7 shots from an A1 army model but he can't shoot a DAO 9mm polymer gun and hit anything worth a damn at any distance. It just goes to show that the snobbery and "one-size-fits-all" thinking of some people doesn't work in the real world. If someone prefers a bolt-action rifle and revolvers and can use them well over semi-automatics, I see no problem with that. "Oh, but the semi-autos offer more firepower. Bolt-actions are slow and revolvers are slow and they don't hold much". That's the typical argument out there... They make moon clips for some revolvers that can load faster than a semi-auto magazine... and revolvers don't jam up very easily. There are 7 and 8 shot .357 magnum revolvers out there. One shot from a bolt-action rifle will kill just as readily as a shot from a semi-automatic. In a defensive situation, shot volume is rarely the deciding factor - shot placement is. 17 misses from a Glock are worthless (and liabilities) when put next to one hit from a J-frame. In a war situation, like a civil war or invasion, semi-autos may be the rule, but bolt-actions have their place. Ask any USMC sniper, or better yet, ask the grunts he's playing Guardian Angel to what they think of his M40. As for taking time... there are some people that are fond of black powder muzzle-loaders. It's a lot of effort to get one shot off, so you have to take your time and make it count, and it's a nostalgia point as well. People do hunt with them... if you really want to call shooting an animal with a gun "hunting"... There's no follow-up shot if you miss so I suppose it does take that crutch away, though I don't consider mere marksmanship to be hunting in the truest sense, but that's a rant for another time. It seems to ship with a built in Time Accelerator powerup! I think Grunt's going to be jealous. I think this was the inspiration for the Q2 SSG. The design is deceptive - that's actually two magazine tubes up top and a single barrel below, and you pump it forward, but visually it's very close. The actual weapon is called the NS2000 and was designed in South Africa. Not many were built.